It all started in 1986, when Roger and Sally McPeak planted their first peach tree. It then took four years to bring in their first viable crop, but their patience and persistence paid off. 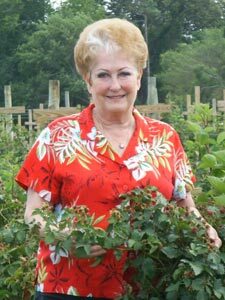 Now McPeak Orchards in Pittsburgh, TX is a leading wholesaler and retailer of peaches, strawberries, blackberries and plums. Each season, 50 to 60 trucks ship prime McPeak’s Texas berries and Pittsburgh Texas peaches to major chains such as Walmart and Whole Foods. Since the McPeak family also wants East Texans to enjoy their farm-fresh produce, they offer two retail markets, plus the Historic Longview Farmers Market, so locals don’t miss out on the mouth-watering Texas goodness. Roger runs the wholesale side of the business, while wife Sally and daughter Susan enjoy serving customers at the retail market off Hwy 271 in Pittsburgh. Their son Chris oversees the family’s Gladewater retail market.